SS Tacoma Star, laid down as the War Theseus and launched as the Wangaratta, a cadet training ship, in 1919. She became the Tacoma Star, British flag, in 1929 until 1942 when U-109 caught her north-northeast of Bermuda on February 1st 1942 (German time). There are two lifeboats on the platform besides and behind the funnel in this image. The British-flagged, 7,924-ton steam ship Tacoma Star was laid down late in 1918 as the War Theseus for the British government (the Shipping Controller). The builders were Workman, Clark and Company, Limited of Belfast, Northern Ireland and the yard number was 440. When the ship was launched on the 30thof April 1919 it was as the Wangaratta, named after a town in Victoria, southern Australia. In July 1919 it was delivered to the British India Steam Navigation Company Limited of London. The Wangaratta’s dimensions were 465 feet long, 58.5 feet wide, and 37.1 feet deep. She was capable of carrying 10,150 tons of cargo. She was fitted with two triple-expansion steam engines, built by the yard. The engines developed 7,000 ihp, or 1,138 net horsepower and twin propellers pushed the shp forward at 13 knots. Her refrigerated cargo space consisted of 368,600 cubic feet. Her primary role was to provide cargo service between Australia and New Zealand and the United Kingdom. One author described her route as “the Queensland meat trade,” though of course this varied over its long career. On the 13th of October, 1919 cadets from SS Wangaratta played cricket against King’s College, Auckland New Zealand. The following week, again according to local papers, the Wangaratta was noted to be carrying mails from Dunedin, on New Zealand’s South Island, to Australia. SS Wangaratta, the British Steam Navigation Company Limited’s cadet ship transiting the Panama Canal in the 1920s. This photo shows two lifeboats on either side of the funnel, and anchors at the ready to be deployed if needed. 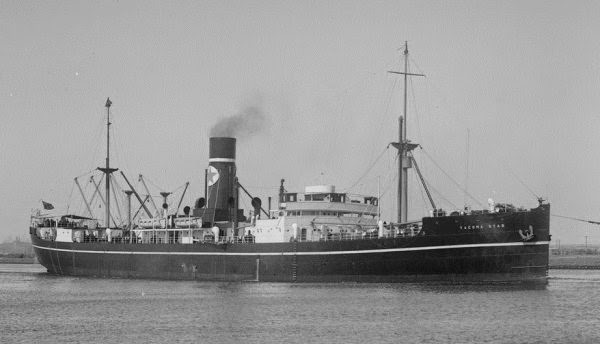 Ten years after her launch, on 15 April 1929, the Wangaratta was sold to the Blue Star Line Limited of London for 63,000 British Pounds to service that firm’s Britain to North Pacific route. She was re-named Tacoma Star, after the port of Tacoma, Washington. In 1933 the Tacoma Star was sold to the Union Cold Storage Company Limited, however the managers (and the ship’s name) remained the Blue Star Line. Two years later she was sold to the Frederick Leyland & Company Limited – still the Blue Star Line remained the managers. In March of 1940 the ship went into the Liner Division of the same firm/s. The Tacoma Star made news in various ports globally during the 1930’s. Jamaica’s “Kingston Gleaner” of February 6, 1932 records that “The Blue Funnel Line steamer Tacoma Star (Captain H. Bevan), arrived at Port Royal [Jamaica] last Tuesday from Vancouver via Seattle and the Panama Canal with fruit and general cargo.” After a brief call for coal bunkers the ship then headed outward bound for Liverpool, direct. The “Oakland Tribune” of February 3rd, 1933 reported that the Tacoma Star was used to repatriate two stowaways who had hoped to make a passage from San Francisco to Asia: John Miller, aged 29, a former member of Volunteers of America, and A. Fisher, 31, a resident of the Sunset Hotel. They had snuck aboard the Danish ship Selandia but were caught and transferred to the inbound Tacoma Star by the pilot boat Gracie S. The Tacoma Star put the men aboard the launch Jerry Daly. Perhaps conveniently for all parties concerned, the men managed to escape through a lumber yard before the police could apprehend them. The country was after all in the throes of the Great Depression (“Oakland Tribune”). On November 23, 1936 the Jamaican paper “Kingston Gleaner” reported that the Tacoma Star, under command of Captain W. Walsh arrived from New Zealand, San Francisco and Vancouver. She took on 1,250 tons of coal in Jamaica. She was en route to London, Liverpool and Glasgow with 10,000 tons of general cargo. During World War II the Tacoma Star took part in eight convoys, most of them between Liverpool, UK and West Africa between December 1939 and February 1941 (Convoyweb.org.uk). On the night of third of May 1941 the Tacoma Star was berthed in Liverpool Docks when a German air-raid sent a large bomb into her hull, sinking her slowly at the dock. One crew member was killed (bluestarline.org). Two days later, on the 7th of May, Tacoma Star was damaged once again by incendiary bombs. On the 1st of June she went into dry-dock for repairs and was ultimately returned to service. On her final voyage Tacoma Star’s Master was Captain Robert George Whitehead, aged 37. The cargo consisted of 5,107 tons of general cargo, some of it refrigerated, presumably beef from the Pampas of Argentina and corrals of Uruguay. There was a large crew on board: 97 people including a Naval Armed Guard contingent of eight and 88 merchant mariners (other reports have the total complement 86 or at 94. Uboat.net says 97 perished but lists only 93, including some DEMS gunners. This author will settle on the figure of 97, eight of them DEMS gunners as that is the figure listed on a plaque in Liverpool and on the bluestarline.org site, and it provides the only specific breakdown between mariners and gunners). The youngest boys on the Tacoma Star were Ernest Weaver, a fireman, and Alexander Evans, a deck boy, and Norman E. Jones, a Cadet – all were 15 years of age. There were seven other teenagers aboard the ship: David Reekie, 19, a Junior Engineer Officer, Walter Henry Wisdom, 17, Sailor, Reginald James Wooding, 17, Third Radio Officer, Charles Henry Bartels, Thomas James Branch, both 19 and trimmers, and Anthony Benbow, 18, a Cadet. At the other end of the spectrum were several sailors in their fifties: Manuel Antonio Gomes, Fireman, age 59, James Aloysius Haughey, 52, Able Seaman, John Moore, 50 Fireman, Joseph Romaine, 51, Donkeyman, John Someone, 59, Fireman, John Andrew Walker, 57, Cook, and George William Watt, Chief Engineer Officer, who was 54. The oldest member on board was John Delaney, a Greaser – he was aged 60. The DEMS (Defensively Armed Merchant Ships) gunners were drawn from the British Army as well as the Royal Navy. In January of 1942 the Tacoma Star loaded in Buenos Aires, Argentina for Liverpool via Hampton Roads. Based on the track of her final days, the ship must have sailed from Norfolk, Virginia where presumably she re-coaled, on or about the night of Thursday/Friday the 29th/30thof January, 1942. By mid-day of Saturday the 31st of January the Tacoma Star found itself unwittingly being stalked by the German submarine U-109 under Kapitänleutnant Heinrich Bleichrodt. Korvettenkapitän Heinrich Bleichrodt, Commander of U-109 which sank the Harpagon off Bermuda on 20 April 1942. ‘Ajax’ Bleichrodt graduated in the crew of 1933 and was a Kapitänleutnant at the time, achievingKorvettenkapitän late in 1943. His decorations include the Knights Cross early in the war – in October 1940, followed by an addition of the Oak Leaves in September 1942 and the U-boat War Badge with Diamonds a month later. In January 1945 he was given the War Merit Cross Second Class with Swords. His total tonnage was an impressive 24 ships of 151,260 tons, plus a warship of 1,060 tons and two ships damaged for 11,684 GRT. U-109, on its fourth of nine patrols, was sailing from and to Lorient for the Second Flotilla. This patrol, part of Operation Drumbeat or Pauchenshlag, began on the 27th of December 1941 and ended on the 23rdof February 1942. A week before the U-109 had found and sunk the British steamer Thirlby closer to the US mainland. 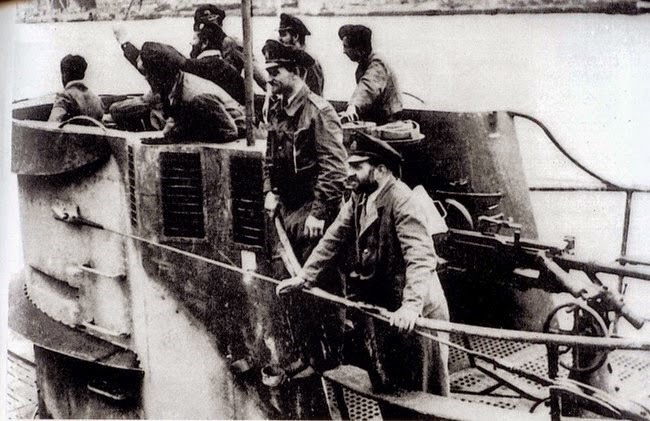 U-109 returning to base with ‘Ajax’ Bleichrodt standing with arms spread and both hands on the rail. Bleichrodt’s attack log begins innocuously enough at 4:20 pm German time (roughly 10:30 am local, or ship’s time – hereinafter all times are German). “Sighted cloud of smoke to starboard ahead. Headed towards it,” logged Bleichrodt. Since U-109 was operating in tandem with another U-boat, U-130 under Ernst Kals, he signaled that U-109 intended to pursue the freighter. The chase and kill would consume the next thirteen hours, until 5:11 am the following day. The following diary was translated by Rainer Kolbicz on UboatArchive.net. Then Bliechrodt deciphers a message from U-130 describing a slow-moving steamer sighted nearby, course 50 degrees northeast, which appears to be the Tacoma Star. There is a discussion of why the message was delayed in reaching U-109 on different frequencies. At 9:22 pm the submarine is approaching the Tacoma Star from 6,000 meters. The distanced narrows to 2,000 meters by 9:31 pm. Bleichrodt decides to attack by firing torpedoes from the submarine’s stern. However his quarry widens the distance from the sub at 9:37 pm. The Commander decides to call off the attack and try again, as the distance widens. At 10:15 pm the Tacoma Star has altered course to the south – towards Bermuda, and appears to have sighted U-109 and is fleeing. This forces Bliechrodt to wait until he can surface to chase the ship at faster speed than submerged. At 10:42 pm U-109 surfaced after two hours submerged. He informs Kals of U-130 that he continues to be engaged in stalking the ship, which for a time is out of sight. 11:16 pm: “Sighted steamer again on port side ahead. Headed northwards to overtake on the suitable side again. Swell from northwest gets higher, can only run both engines at GF.” This time the Tacoma Star has resumed a base course to the northeast, or 70 degrees. 2:50 am: “Steamer is now behind us,” writes Bliechrodt. At 3:30 pm German time, or 8:30 pm ship’s time, Bliechrodt fired “a spread of three torpedoes from tube I, III, and IV”. He estimated the Tacoma Star’s speed at 13 knots and the distance at 1,200 meters (about 4,000 feet, or about four fifths of a mile), and set the depth of the torpedoes at roughly ten feet. For two out of three of the projectiles the veteran German commander had estimated correctly, as within less than three minutes there were two hits. The first torpedo struck the Tacoma Star in the forward cargo hold and the second in the engine room amidships. They were mortal blows. Shore stations noted the radio transmission from the Tacoma Star at 8:35 pm. It took three minutes for torpedoes fired at 8:30 local time to strike the ship at 8:33, and two minutes for the radio operator to send of the SSS signal for attacked by submarine. The only conclusion can be that the radio operator or operators were standing by to transmit the position – that they were ready for or possibly even expecting an attack. The broadcast went out two minutes before the ship sank the depths. Twenty minutes later, at 3:50 am German time, U-109 had already turned away from its adversary and begun motoring off for its interrupted rendezvous with U-130 under Kals. Bleichrodt observed that he and his men “Sighted 5 illuminated lifeboats on port side abeam.” From this we learn that the submarine has moved from the starboard side of the Tacoma Star to the port, or westerly side of where the ship sank. As the sub was heading south towards U-130 it passed the lifeboats, which presumably had drifted astern of the ship, to the left, or off the port side. It appears that the men in the boats were illuminating themselves or their boats, presumably in order to keep the boats together. It is unknown how many of the 97 men on board the ship originally made it into the lifeboats, but it would take about 5 men to launch a lifeboat, so there would have been about (or at least) 25 men manning the boats or rafts. Most ships of the Tacoma Star’s size carried four lifeboats, one motorized, two larger than the others, and two smaller, as well as roughly four rafts. Probably Bleichrodt was looking at three or four lifeboats and one or two rafts. Again, this is all conjecture, as none of the entire complement aboard the Tacoma Star were ever seen alive again. The position which the Tacoma Star’s radio operator (presumably Norman Vincent Cavell, 40, First Radio Officer, possibly Joseph Hatton, 21, Second Radio Officer, Third Radio Officer Reginald James Wooding, aged 17, or whichever radio operator was on watch) provided to shore-side stations was 37.33N, 69.21W. According to Bleichrodt the attack occurred at 38°47’N, 64°12’W. The difference between the two positions is 232 nautical miles – Bleichrodt’s being to the east-northeast. The difference between these locations would be the rough equivalent of asking someone to look for you off New York Harbor when in fact you are off Norfolk, Virginia, or in European terms, saying that you are in distress off Falmouth, at the mouth of the English Channel when in fact you are off Dungeness, at the opposite end of that body of water. In essence the information was so wildly incorrect that it was not only misleading, it was almost meaningless, and almost certainly proved fatal to the survivors of the Tacoma Star. From the position that the Roe rescued the Rochester survivors to the location given by the Tacoma Star (the incorrect one) was roughly 250 nautical miles. However to get to the actual position the Roe would have had to have steamed closer to 500 nautical miles – almost double the distance, and would have had to had factored in extra fuel, time, etc. into the ship’s voyage calculations. By Sunday the 8th of February the Roe was on the trail of 14 survivors from the ship Ocean Venture, sunk off Cape Hatteras – she rescued those men. Finally, the USS Roe’s orders in end-January and early February 1942 were to patrol the waters generally between Norfolk and Bermuda (DANFS). The position given by the radio operator was within that range (375 miles northwest of Bermuda, 315 miles northeast of Norfolk). However the actual attack position was closer to Canada (340 miles south of Halifax, 300 nautical miles east southeast of Nantucket). The USS Roe would have had to have left its assigned patrol area to go twice as far further northeast in order to have found where the Tacoma Star survivors actually were, and that would have involved disobeying clear orders, both specific and general. If the men in the Tacoma Star lifeboats really believed that they were 230 nautical miles southwest of their actual position, it would have affected the outcome of their voyage had they steered for Bermuda – they would have missed the island by significant distances. And they did not interact with Bleichrodt to learn their actual position. Nor is there any indication that Captain Whitehead succeeded in bringing with him sextant, charts, a good compass, and nautical almanacs to enable him to deduce star and sun sights and thus to determine longitude. Since there was only about three minutes between the initial attack and abandonment of the ship, it can be presumed that he lacked a complete suite of navigational equipment. More likely than not the 94 or so men in the Tacoma Star lifeboats, aged 15 to 60, tried valiantly to keep the five lifeboats together. If the histories of numerous other ships lost in the region can be relied upon as a template for their voyage, some of the boats would have become separated. Some would have steered for the US mainland and shipping lanes of Norfolk or New York, others (or simply another) may have decided it was safer in the warm waters in and south of the Gulf Stream and made for Bermuda – an easy island to miss from a small lifeboat. Sadly we will never know the details of their struggle – whether it lasted hours, days, weeks or a month. All we know is that not a single soul from the sad waterborne cavalcade of men were ever seen again. By Friday, the 6th of February 1942 the propagandists in Berlin Germany decided that U-109 and it compatriot submarines were far enough from the scenes of their attacks that they announced the destruction of the following ships: Amerikaland, Empire Wildebeeste, Rochester, Traveler, Tacoma Star, and Trontolite. The tonnages of these vessels were correlated by Lloyd’s Register of Shipping (Gastonia “Daily Gazette”). Up to that point the Germans had publicized the sinking of 49 Allied ships off the American seaboard, for 349,000. In contrast the tight-lipped US authorities had only acknowledged the loss of 15 vessels. Hitler’s newspaper Voelkischer Beobachter was one of the organs publicizing the news. For anxious families of the men on board the Tacoma Star, it was perhaps the only official acknowledgement of what had happened to their loved ones – and it came from the enemy. 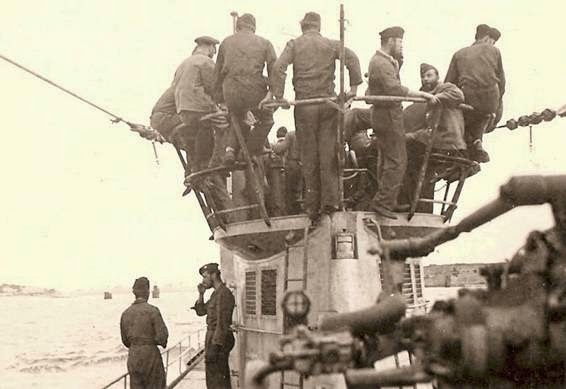 German navy sailors and officers relaxing on the conning tower on return from patrol, WWII. Early in his career Bliechrodt served on both the Gorch Foch and the Admiral Hipper, moving to U-boats in October 1939. He also served as First Watch Officer (second in command) of U-564 under Teddy Suhren. In one patrol as commander of U-48 in 1940 he sank eight ships of 43,106 tons. 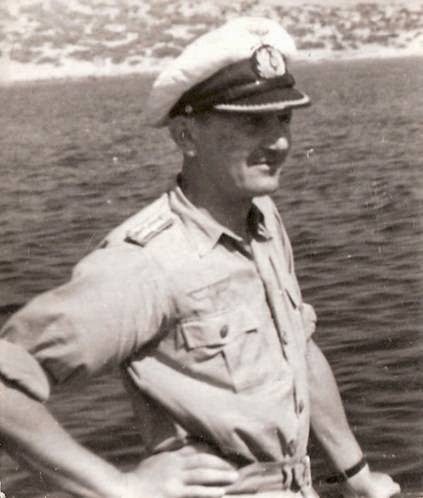 Moving ashore in July 1943 he went on to command the 27th and 22nd training flotillas. He lived until 1977, passing away in Munich at the age of 67. A captain William Henry Bevan, Master of the Blue Star Line vessel Sultan Star was sunk off the UK by U-48 under the command of Herbert Schultze. Captain Bevan – very possibly the same skipper who had commanded the Tacoma Star in the 1930s and been a ship’s pilot in Jamaica, survived the attack, which occurred on 14 February 1940. “Oamaru Mail,” Vo. XLIX, Issue 13892, 21 October, 1919, page 3 for mail / sailing info. The National Archives, Kew Gardens, London – for a detailed survivors’ account, “Shipping Casualties Section – Trade Division” ADM / Admiralty section.